Precious Pages by Paula: LIFE IS SO SWEET! I have two more cards for you today! The first is another sweet honey month card with Winnie the Pooh and Christopher Robin for the challenge at Kraftie Krea8tions and is child focused for Shopping Our Stash (the stash are all the papers were scraps and I have had the ribbons forever), using sketch PPA173 from Pals Paper Arts, and ribbons and bows for Whoopsi Daisy. 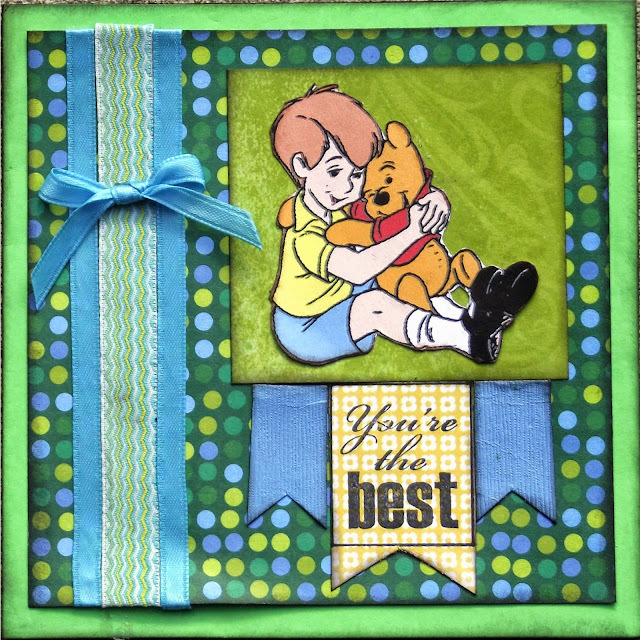 and my other card is for Michael's birthday to go along with the desk set I created. 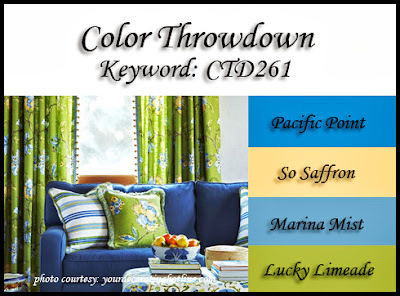 I used sketch #312 from Mojo Monday, and the color palette CTD261 from Color Throwdown. And now I am off to get dinner out of the crockpot, ice the cake and wrap the presents! Have a wonderful evening! Very nice take on both sketches! The image in card #1 is so cute and well colored! Card #2 - Great use of color in this CAS design. Both are very well executed! Thanks for slipping this into our mailbox here at 613 Avenue Create! Lovely cards, thanks for joining us at Whoopsi Daisy. So pretty. 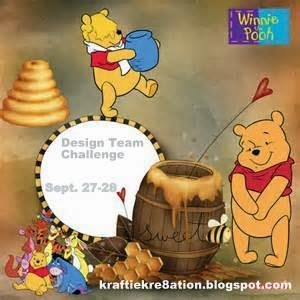 I love your first card (I just adore Pooh) and great sketch too. Adorable cards!! 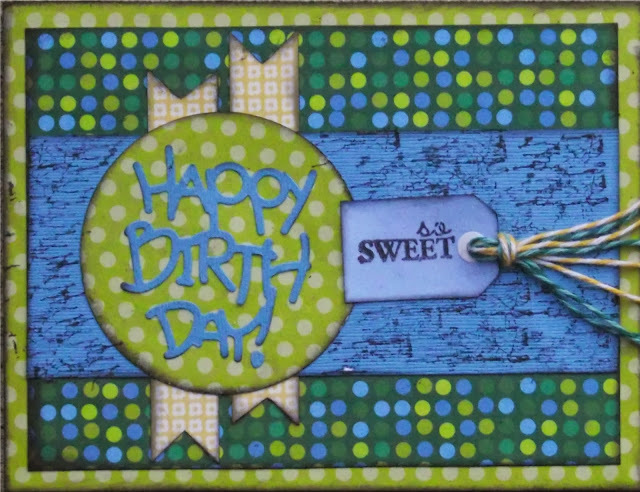 Love the diecut Happy Birthday and the wooden looking panel!! Thxs for joining us at CTD!! So cute and clever. These are the sweetest cards. Thank you for playing with the Pals this week!